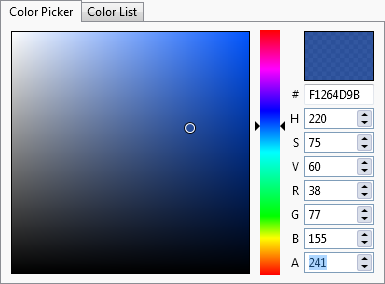 I selected a color picker for a style editor in Tabs Studio and here is a list of most interesting open source WPF dialog based color pickers that I found (not commercial and not drop-down color picker controls). 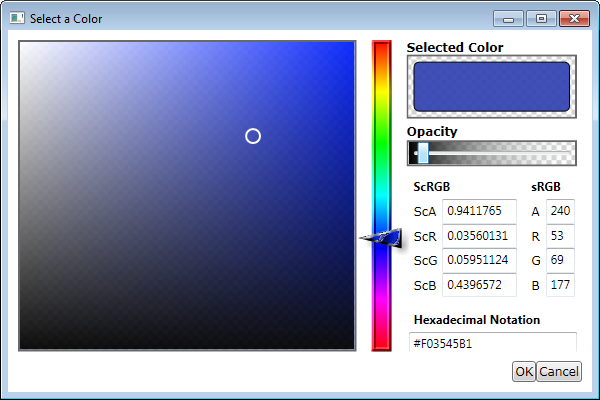 Sacha Barber wrote the CodeProject article about his WPF color picker and later Mark Treadwell did various enhancements on this code. 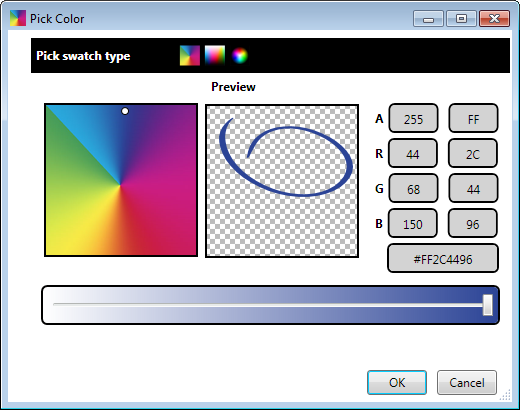 Still color position is not preserved when switching swatches, colors range on swatches is limited and there are no additional controls to tune color other than transparency. You can find it in the “c:\Program Files\Microsoft SDKs\Windows\v7.0\Samples\WPFSamples.zip” archive on your machine and read about it in the Uncommon Dialogs: Font Chooser & Color Picker Dialogs blog post. Functional, but requires more polishing for practical use. 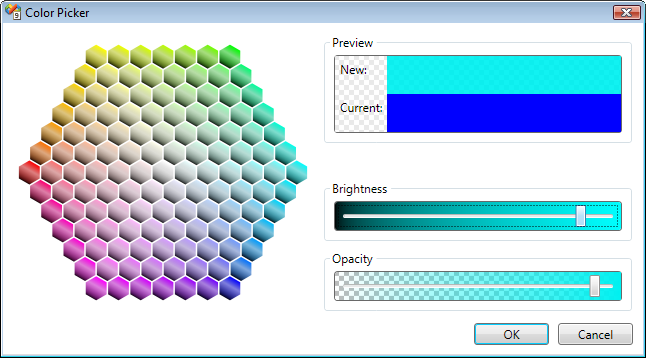 Open source SharpDevelop IDE contains a color picker with a nice conventional design. Shawn A. Van Ness developed the ColorComb color-picker dialog with the ability to adjust stylus stroke properties. It is very easy to select a color you have in mind looking at the comb and use the brightness slider for fine tuning. Cells in the comb provide palette like qualities allowing to choose a distinctive collection of colors. 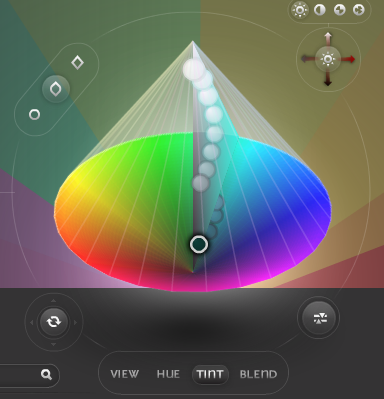 Lack of HSV and RGB controls ensures less distraction when selecting a color. 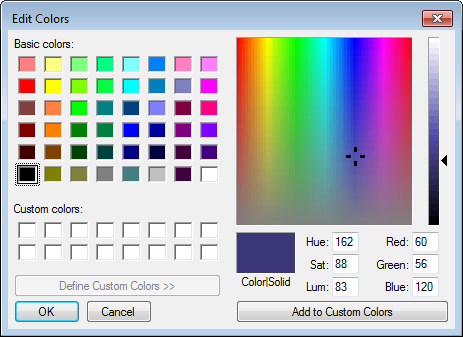 Colors dialog in Office 2007 has a design very similar to ColorComb plus it has comparison between a new and the current colors. To be a part of a XAML editor in Tabs Studio, I liked ColorComb most. I removed ink-specific settings from the dialog and added the current color for comparison. If you want to use this ColorComb modification in your application, following is the download link: ColorPickerSampleSV.zip. 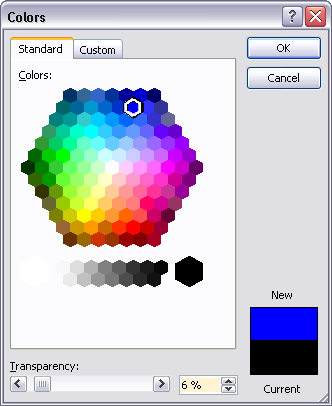 Where can I get the sample code for Microsoft 2007 color dialog? 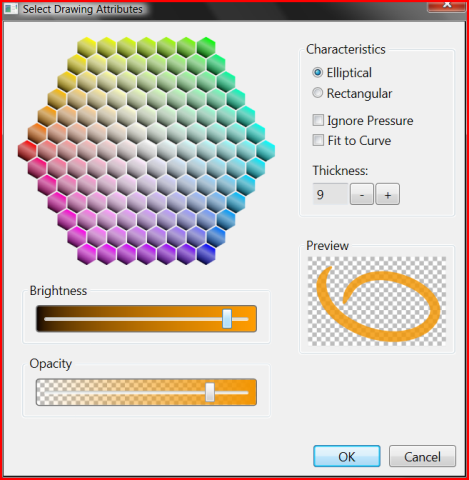 I haven’t seen an open source color picker close to Microsoft Word’s color dialog. I have seen one from Devcomponents.com. DotNetBar for both windows form and wpf. But that is not the case. One can develop his own using an example from devcomponents.com. I have recently developed a very good one better than Microsoft. Recently I have modified the color comb to look exactly like that of Microsoft. The work will soon be available for everyone. For more info email me at tonielro@yahoo.com.